5571: 18th Tishrei Rebbe Nachman passes away. Erev Rosh Chodesh Shvat א נ”ש come together by the gravesite. Rebbe Nosson prints 2nd part of Likutei Moharan, Sefer Hamidos, and Kitzur Likutei Moharan. 5572: First “kibbutz” get together in Uman of 60 chassidim. They daven at “Shomrim Laboker” shul with non-Breslove poeple as the Rebbe requested. On Purim, Chaya, the Rebbe’s daughter is engaged. 5573: “The Rebbe’s beis medrash” is rebuilt after being burned down on 1810. 5574: R’ Yehuda Eliezer becomes close to Rebbe Nosson (he later accompanied him ti Erztz Yisroel). 5576: Rebbe Nosson prints Sipurey Ma’asios in Ostraha. It is published with Shivchey Haran. In Nissan Rebbe Nosson dreams of Rebbe Nachman who strengthens him regarding the value of Likutei Halachos and promises him that it will be printed. 5577: R’ Shachna, Rebbe Nosson’s son, gets married. 5578: Rebbe Nosson writes the prayer after Tikkun Haklali. 5579: R’ Isroel, the son of Sarah, the Rebbe’s grand son marries the daughter of the saintly Rebbe Aharon, the son of Rebbe Mordechai of Chernobyl and all א נ”ש participate in it. 5580: Rebbe Nosson puts up a printing press in his house and starts making plans to travel to Eretz Yisroel. 5581: Rebbe Nosson’s printing press is inaugurated on 15th of Shvat and the two parts of Likuteu Moharan are printed, as are Sefer Hamidos and Names of Tzaddikim. R’ Shachna prints the first Tikkun Haklali. 5582: Rebbe Nosson prints the first 22 prayers of Likutei Tefilos. That year R’ Nahcman Tulchiner becomes close to Rebbe Nosson at the age of 8 years old. The end of Nisan Rebbe Nosson leaves for eretz Yisroel and arrives at Sidon at 19 of Sivan. Reb Shimon, the Rebbe’s pupil, also makes alia around that time. 5583: אנ”ש daven at the house of a rich man called Rw Mordechai for 5 years. In Kislev Rebbe Nosson comes back from Eretz Yisroel. 5584: R’ Yitzchok, son of Rebbe Nosson marries his first wife. Rebbe Nosson prints the first part of Likutei Tefilos. Someone snitches the authorities about the printing press. Faiga Sacha, the daughter of Sarah, the Rebbe’s grand daughter marries the grandson of Rebbe Baruch of Medzibodz. 5585: R’ Yitzchok divorces his first wife. 5586: R’ Yitzchok remarries. On Elul Rebbe Nosson’s first wife, the daughter of the saintly Rebbe Tzvi “The Great”, passes away. 5587: Rebbe Nosson marries Mrs. Dushil and their son, Nachman, is born that year. R’ Yitzchok has his first daughter. The decree of the “Kantonisten” (taking Jewish children to 25 years of military service at the Czar’s army) begins. Rebbe Shmuel Isaac passes away. 5588: אנ”ש pray for 2 years in the “Ambar” where they davened on the Rebbe’s last year. R’ Dovid Tzvi, the son of R’ Yitzchok, is born. 5589: R’ Yodef Yona, Rebbe Nosson’s smallest son, is born. 5590: אנ”ש daven in the house of a person who wanted them to “sanctify” the house with their prayers. 5591:אנ”ש prayed for 2 years in a wide apartment of R’ Zalman. R’ Avraham Ber, the son of Adel, the Rebbe’s grandson marries the daughter pf Moshe Chinkes. Rebbe Nosson puts the foundation of the “Kloiz”. 5592: Sarah, Rebbe Nahcman’s daughter, passes away. Rebbe Nosson build the columns and beams of the Kloiz. 5593 Mrs. Chana Tzirl, Rebbe Nosson’s daughter, gets married. 5594:אנ”ש pray in the Kloiz even though it isn’t finished. Rebbe Nosson hears he can print in Lemberg (Lieptzig). 5595: A big machloket fires up against Rebbe Nosson. Rebbe Nachman come to him in a dream together with Moshe Rabbeinu and consoles him. Rebbe Nosson gets a haskomo from Moshe Rabbeinu. The “Great Shavuos”. On Rosh Chodesh Elul Rebbe Nosson is exiled to Nemirov. Rebbe Nosson’s son, R’ Dovid Tzvi, gets married. 5596: Rebbe Nosson miraculously gets a premit to be in Uman for Rosh Hashanah. His main adversary travels to Kamenitz to complain and has to run over the border for various reasons, weakening the controvercy against Rebbe Nosson. 5597: Rebbe Nosson gets another permit to come to Uman from Nemirov. 5598: Rebbe Nosson is allowed to come back to Breslev. Rebbe Yudil, Rebbe Nachman’s student, passes away. 5599: After 3 years of having to stay away, a great Shabbos Chanukah was held by Rebbe Nosson. 5600: Rebbe Nosson goes with R’ Nachman Tulchiner to print Likuteui Halachos in Lamberg. There was an exciting and heartrending meeting between Rebbe Nosson and Menachem Mendel of Kotzk. 5601: The marriage of daughter of R’Shechne – the first grand-daughter of of R’ Nosson. 5602: Likutei Etzos is printed in Lemberg and the seforim are brought to Breslove. 5603: – R’ Nachman Tulchiner travels to Yas to print the first volume of Likutei Halachos and Rebbe Nosson collects the funds for this. 5605: Suprisingly, Rebbe Nosson does not say Torah on Rosh Hashanah in Uman. He passes away on the 10th of Teves. Rebbe Aharon “The Rav” passed away on Rosh Chodesh Av. 5606: R’ Nachman Tulchiner rewrites Likutei Halachos in preparation for printing. 5607: R’ Nachman Tulchiner prints volumes 2 and 3 of Likutei halachos, Orach Chaim, finishing the next year with all the part of Yore Deah. 5608: R’ Nachman Tulchiner starts being the Ba’al Tefilah Mussaf on Rosh Hashana in Breslev and moves to Breslev. 5609: R’ Nachman Tulchiner starts being the Ba’al Tefila Musaf on Rosh Hashana in Uman. 5610: Shivchei Haran is printed for the first time in Poland. 5611: R’ Leib Konstantiner come to the Kibbutz for the first time and R’ Isaac Eisenstein becomes close through him. 5612: Sipurey Ma’asios is printed with the sichos after it. It is called “Sichos Haran – Magid Sichos”. 5613: The Tchuriner Rav sees Rebbe Nosson in a dream carrying his seforim, complaining that “they are heavy” and asking him for help. This awakened the Tchuriner Rav to write the “Otzar HaYirah” the compendium of Likutei Halachos. 5614: Adel, the Rebbe’s daughter passes away. Following Rebbe Naftoli’s advice, R’ Nachman Tulchiner travels to illuminate the Rebbe’s light in town of Tirhovitz. They spent money to continue printing Likutei Halachos. 5615: at the behest of Rebbe Naftoli, Rav Nachman Tchuriner becomes the Rav in Tchurin. 5616: R’ Dovid Tzvi, son of Rebbe Nosson passes away. 5617: The Tchuriner Rav writes Parperaos LeChochma as well as other seforim. 5618: R’ Hirtz, the father of R Avrohom Shternhartz, become the son in law of the Tchuriner Rav. When his wife passed away, he married the daughter of R’ Shimshon ‘of the forest’. 5619: Likutei Halachos, Choshen Mishpat is printed. 5620: Rebbe Naftoli passes away in Uman. 5621: Likutei Halachos, Even HaEzer, is printed and the printing of Likutei Halachos is completed after 20 years of piecemeal publishing. 5622: Rav Avrohom Shternhartz is born. 5623: R’ Efraim, the son of Rebbe Naftoli, makes aliya. 5624: The kibbutz in Meiron starts. 5625: R’ Sender Tiravitzer collects money to rebuild the Kloiz in Uman. R’ Avrohom Ber’inu gives him 1000 Rendel (a huge sum) and R’ Sender kisses his hands, saying “Fortunate are the hands that give 1000 Rendalach to the Rebbe’s cause”. 5626: With the efforts R’ Sender Tirovitzer the Kloiz in Uman is rebuilt. Rav Nachman Tulchiner moves to Uman. 5627: R’ leibale Reuven’s makes Aliya and passes away in Tzfas on 22nd of Av. 5628: R’ Hirsch Leib, the Rav in Breslev after his father Reb Aharon “The Rav”, passes away on 11th of Adar. 5629: The Tchuriner Rav travels to Eretz Yisroel with the wealthy people of Tcherin. R’ Chaim Karsineshtein makes Aliya but returns later. 5630: R’ Yitzchok, son of Rebbe Nosson passes away on 14th of Adar. R’ Itzale of Tulchin who lived in Jerusalem travels to Uman. 5631: R’ Itzchok Isaac, the brother of R’ Alter Tepliker makes Aliya. 5632: The Tchuriner Rav prints all the Rebbe’s seforim through his student R’ Boruch Efraim (who wrote Be’Ibey Hanachal). 5633: R’ Chaim Karsinshetin makes Aliya again. 5634: Otzar HaYirah is printed in Lembers. The wealthy people of Tcherin print Likutei Moharan in Jerusalem. 5635: The Tchuriner Rav prints Likutei Moharan with Parperaos Lechochma. R’ Nosson of Tevria who wrote the sefer Nativ Tzaddik makes Aliya. 5636: The Tchuriner Rav prints the first volume of Rebbe Nosson’s biography Yemei Moh”aranat in Lemberg, as well as the seforim Leshon Chasidim and Derech Chasidim, encyclopedic compendiums of the seforim of the students of the Ba’al Shem Tov and those of the Magid of Mezritch respectively. 5637: R’ Nosson of Tveria goes to Uman for Rosh Hashanah with R’ Yitzchok the brother of R’ Alter Tepliker. 5638: R’ Berle of Warsaw, the rebbe of R’ Shmuel Horowitz (a Dayan in the Beis Din of the saintly Avney Nezer of Sochatchov) makes aliya to Tzfas. 5639: R’ Avraham Shternhartz marries the daughter of R’ Yosef Yona, Rebbe Nosson’s youngest son. 5640: R’ Pinchas Kublitcher, who became close to the Rebbe with great Mesirus nefesh through R’Avrohom (the son of R’Nachman of Tulchin), passes away. He merited to bring many people on Kublitch to the Rebbe. 5641: The Nativ Tzaddik, R’ Nosson of Tevria travels to Uman from Eretz Yisroel. 5642: R’ Efraim son of Rebbe Naftoli prints Likutei Even and Ashmores Haboker in Jerusalem. 5643: R’ Efraim son of Rebbe Naftoli passes away erev Succos. 5644: R’ Moshe Breslover starts to daven in front of Amud for Mincha. R’ Nosson of Tveria passes away on 26th of Adar. R’ Nachman Tulchiner passes away on 26th of Nisan. 5645: R’Avrohom Shterhartz starts davening Shachris before the Amud in the Kibbutz. R’ Leib Konstantiner davens Mussaf fro 5 years until he passes away. 5646: R’Avrohom, the son of R’Nachman of Tulchin, starts writing the stories and messorah of אנ”ש, later printed as Anshey Moharan. 5647: R’Avrohom, the son of R’Nachman of Tulchin writes Kochvey Or. 5648: R’ Shlomo Vecksler arrives at Eretz Yisroel and R’ Akiva Schleizinger advices him to become close to chassidei Breslov. 5649: R’ Yisrael Karduner draws close. R’ Leib Kinstantiner passes away and is buried in Uman. R’ Yona Yosef son of Rebbe Nosson passes away. 5650: R’ Nachman Nemirover starts davening Musaf before the Amud until 5680. R’ Tzvi Hirsch Terahvitzer passes away in Tzfas and is buried by R’ Yitzchok, son of Rebbe Nosson. 5651: A Kibbutz minyan starts in Jerusalemk. 5652: R’ Sender Tirovitzer “the small” passes away in Tzfas on 2nd of Cheshvan. 5653: R’ Sender Tirovitzer (the nephew of R’Sender “the small”) prints a volume with Rebbe Nosson’s letters (which were not published in Michtevey Moharanat or Alim Litrufa) with Tikkun Haklali. 5654: R’Avrohom, the son of R’Nachman of Tulchin makes aliya. R’ Moshe Breslover passes away on Rosh Chodesh Shevat. Tchuriner Rav passas away on Ta’anis Esther. 5655: R’Avrohom, the son of R’Nachman of Tulchin travels to Uman for 19 years. 5656: R’Avrohom, the son of R’Nachman of Tulchin prints Kochvey Or in Jerusalem. In Berditchev they print Rebbe Nosson’s letters in Alim Letrufa for the first time (first part of Michtevey Mohoranat). 5657: R’ Naftoli, R’Avrohom (the son of R’Nachman of Tulchin’s) father in law, makes aliya. 5658: R’ Asher Zelig, R’ Alter Tepliker’s father, passes away in Tzfas. 5659: R’ Yaakov Filmer of Berditchev makes aliya. 5660 (1900): R’ Nosson Beitlmacher – who would later marry the Tzaddekes Gittle, the widow of R’ Yisroel Karduner – makes aliya. 5661: R’ Yisroel Karduner prints many of the Rebbe’s seforim until 5663: . 5662: R’ Alter Tepliket’s Meshivas Nefesh is printed for the first time. The Tchuriner Rav’s Rimzey Ha’ma’asios is printed with Sipurei Ma’asios. 5663: The Kloiz in Uman is rebuilt for the third time and אנ”ש prayed there until 5696 (1936). “Anshei Ma’amad” society is established in Uman and lasts for 30 years. R’ Shmuel Meir Anshin makes aliya. 5664: First Breslover Shul is established in the old city of Jerusalem at the behest of R’ Akiva Schlezinger. 2nd volume of Yemei Moharanat is printed in Jerusalem by R’ Yisroel Karduner. 5665: First Kibbutz in Rosh Hashana in Eretz Yisroel is held in the shul. R’ Yitzchok Breiter draws close in Lublin. 5666: R’ Yitzchok Breiter comes to Uman and goes back with an enflamed heart to spread the light of the Tzaddik. Likutei Tefilos is first printed in Galicia with the Haskomos of the local Rabbonim. 5667: R’ Yitzchok Breiter arrives from Polland with 7 newcomers, amongst them R’ Yechezkel and R’ Shmuel Eliahu Mendelail, R’ Bentzion Apter, and R’ Shlomo Gavriel. 5668: R’ Yitzchok Meir Karman arrives at the Kibbutz on R”H. 5669: First shul in Tzfas is established by R’ Ysroel Karduner and Nosson Tirahvitzer. 5670: R’ Dovid Davishske prints Likutei Moharan in Jerusalem. The 2nd volume of Rebbe Nosson’s letters as well as Nachas Hashulchan is printed by R’ Yisroel Karduner. 5671: R’ Yudil Dashivske prints Likutei Halachos O”C, Vol. 1 in Berditchev. 5672: Kollel Warsaw givesאנ”ש a shul in the Jewish quarter. 5673: R’Avrohom, the son of R’Nachman of Tulchin prints Sichos V’Sipurim. R’ Hertz, the father of R’ Avrohom Shternhartz, passes away. 5674: R’Avrohom, the son of R’Nachman of Tulchin returns with the last ship from Eretz Yisroel together with R’ Yisroel Karduner. R’ Levi Yitzchok and R’ Elya Chaim Rozin and dosens of more newcomers draw close at the Makaveh Yeshiva (through R’ Yitzchok Otovetzker). On Elul R’ Levi Yitzchok go from Poland to Uman. 5675: A very old man arrives at the Kibbutz who was old enough to have seen Rebbe Nosson. 5676: R’ Levi Yitzchok accompanies R’Avrohom, the son of R’Nachman of Tulchin to Tcherin where they meet R’ Aharon Kublitcher and a shidduch is made. 5677: R’ Levi Yiztchok marries the daughter of R’ Aharon Kublitcher. 5678: R’Avrohom, the son of R’Nachman of Tulchin passes away in Chanukah. R’ Getzi passes away on the 7th day of Pessach. 5679: R’ Alter Tepliker is murdered on Adar and R’ Levi Yitzchok moves into his house on Nisan. In mid-summer 50 of אנ”ש are almost murdered at the Kloiz and are miraculously saved. R’ Yisroel Karduner passes away in Teveria on 9th of Cheshvan (and with his death the plague stopped). R’ Nosson Tiravitzer passes away in Tzfas. 5680: R’ Alter Markes davens Shachris at the Kibbutz. Even though it was light-threatening to to come to Uman, 7 people came with great mesirus nefesh, amongst them R’ Aharon Kiblitcher and R’ Levi Yitzchok his son-in-law. R’ Levi Yitzchok starts to daven mussaf before the Amud. A young boy, R’ Yacov Bersezky also arrives with great self-sacrifice from Poland – two months later he makes aliya. 5681: 18 boys from Poland sneak over the border and arrive at Uman for R”H. Kollel Warsaw gives the Aguna shul in the ‘Rova’ to אנ”ש . R’ Baruch Bwrditchover passes away. Unabridged Chayay Moharan is printed. R’ Aharon Kublitcher passes away on Elul. 5682: R’ Hirsch Lipel makes it to Uman with another boy with tremendous mesirus nefesh. From this year R’ Levi Yitzchok davens Sachris in the Kibbutz and R’ Avrohom Shternhartz davens mussaf. 5683: from this year on, R’ Moshe Yeruslavsky takes care of all of אנ”ש in Uman after a great miracle that occurred to him whereby he was saved from certain death. 5684: Likutei Moharan is printed in Poland for the first time and אנ”ש comes out wearing their Shabbos clothing when it comes out of the book-binder. R’ Yisroel Abba Rosenfeld travels to America from the Soviet Union. 5685: A few people from Poland manage to come as well as one from Caucuses. Shmos Hatzddikim is printed and the Rebbe’s family and the great people ofאנ”ש are added. 5687: A siddur with Tikkun Haklali is printed by R’ Nashka Tulchiner. The Haggadah with Or Zoreach is printed in Jerusalem. 5688: Or Zoreach pamphlet is published in Poland for 2 years. 5689: First Kibbutz in Poland. 5690: R’ Shmuel Horovitz arrives in Uman and stays fro 3 consecutive R”H’s. The students of R’ Ephraimel, “The Oneg Shabbos”, establish a shul in Tel Aviv. R’ Aharon Leib Tzigelman prints the complete Alim Letrufa with the Rebbe’s letters and those of R’ Yitzchok son of Rebbe Nosson, for the first time. 5691: From this year until the Holocaust the Kibbutz takes place at the Chachmay Lublin Yeshiva. 5692: R’ Shmuel Horovitz leaves jail on the Sefira of Netzach Be’Netzach. 5693: R’ Shmuel Shapirah, R’ Biyomin Ze’ev Cheshin, and Heshel Franc draw close. R’ Shmuel Horowitz prints a part of the letters of R’ Avrohom the son of Nachman of Tulchin. 5694: R’ Hirsch Lipel makes aliya. The Rebbe’s previously unpublished written Torah is printed with the letters of R’ Shlomo Vecksler. 5695: 20 People from Poland successfully arrive at the Kibbutz with permits. R’ Shimshon Barsky passes away erev Roch Chodesh Sivan. R’ Shmuel Horowitz prints Biur Halikutim. 5696: The communists close the Kloiz. In Cheshvan R’ Levi Yitzchok and R’ Elya Chaim Rozin are arrested and are miraculously set free on erev Roch Chodesh Adar. R’ Moshe Burstein makes aliya. R’ Avrohom Shternhartz makes aliya. R’ Mordechai Yagelnik makes aliya and davens Maariv in front of the Amud until R’Levi Yitzchok arrives. 5697: אנ”ש daven in the Lelover shul in the old city. A shul is established in Sha’arey Chessed. R’ Yechezkel Medenlail makes aliya. First Breslover shul is opened in New York by R’ Yitzchok Mendel Rothenberg on the East Side. 5698: 27 martyrs of אנ”ש are sent to an unknown place. Few make it back and make it to Eretz Yisrael. 5699: Even though the Kloiz is closed, many Chassidim make it to Uman and daven in 4 apartments. R’ Levi Yitzchok’s last year in Uman with great mesirus nefesh since he is ‘wanted’. R’ Ahron Leib Tzigelman prints Tikkun Haklali. R’ Nosson Barsky makes it in with the last ship to arrive before the Holocaust. 5700: A shul is built in Sha’arey Chessed. Tikkun Chatzos is printed. 5701: R’ Avrohom Shternhartz starts a Kibbutz in Meiron. R’ Yona Lebel becomes the shofar blower until he passes away. 5702: R’ Mordechai Sokolover passes away in Siberia. 5703: R’ Yacov Melamed davens Shachris in Meiron and R’ Avrohom Shternhartz davens mussaf until 1954. Tikkun haklali is printed in Shanghai with Tzetil Koton of the Rebbe R’ Elimelech. The new shul in Shaarey Chessed is inaugurated. R’ Yomtov Zlotnik, the mainstay of אנ”ש in Shaarey Chessed passes away. 5704: the Ohel above the Tziun is destroyed. 5705: R’ Zabvil makes a minyan in Uman after the years of the Holocaust (R’ Michal Dorfman and R’ Chaim Binyomin Brod were there). From that year on R’ Mechelmakes a Kibbutz every year until he makes aliya. 5706: R’ Avrohom Shternhartz buys land for the Shul in the old city. R’ Ephraimel, “The Oneg Shabbos”, passes away on 15 of Shvat. 5707: R’ Zanvil buys the lot over the Tzyun to safeguard the Tzyun’splace. 5708: The Jordanians capture the old city and many אנ”ש escape to Katamon. R’ Shmuel Shapira, R’ Shmuel Horovitz, and R’ Moshe Burstein are captured. 5709: Since Meiron is in Arab hands, the Kibbutz takes place in Teveria by Rabbi Meir Ba’al Hanes. The Jordanian captives are released and R’ moshe Burstein establishes a shul in Katamon. R’ Levu Yitzchok arrives in Eretz Yisrael on Cheshvan. 5710: R’ Yaakov Ze’ev starts davening Shachris in Meiron. In Jerusalem R’ Levi Yitzchok davened Mincha, Maariv and mussaf before the amud until he passed away. 5711: Yerach Eitanim of the Tchuriner Rav is printed. 5712: The lot of the shul in Mea Shorim is purchased. 5713: R’ Eliyahu Chaim Rozin collects money in the US for the shul. 5714: R’ Moshe Kremer, R’ Nosson Tzvi Koenig, and R’ Avrohom Herschler become close. 5715: R’ Moshe Burstein davens in Meiron. R’ Avrohom Shternhartz passes away in Elul. 100,000 Tikun Haklali are printed by R’ Eliezer Veitzhandler, first time with the commentary of R’ Yitzchok Breiter. R’ Yaakov Dov prints Alim Litrufa in America. Maimon shul is inaugurated in Bnei Brak. 5716: R’ Nosson Shternhartz makes aliya. 5717: R’ Nosson Shternhartz davens mussaf in Meiron from that year on. 5718: Likutei Moharan with the Parperaos is printed in the US. 5719: Yeshivas Breslev is opened in Bnei Brak. 5720: Foundation stone is laid to Yeshivas Breslov in Bnei Brak. 5721: Second half of the lot for shul in Meah Sheorim is purchased. R’ Yona Lebel passes away. 5722: R’ Gedalia Fleer goes to Uman but doesn’t make it to the Tziyun. R’ Shmuel Meir Anshin passes away. R’ Zanvil passes away. His body is brought to Eretz Yisroel a few years later and his body was still intact! Some say because he never missed a day of hisbodedus and others say because of the self-sacrifice he had for the Rebbe’s Tziyun. Leshon Chassidim is reprinted as well as Chochma and Tevuna. 5723: R’ Fleer gets to the Tziyun, which is the first time someone from the outside gets to the Tziyun. R’ Moshe Burstein widens the shul in Katamon and establishes Yeshiva Or Avraham. 5724: R’ Fleer goes to Uman with R’ Tzvi Aryeh Rosenfeld and 8 people. 5725: Davening upstairs in the shul in Mea Sheorim. R’ Shmuel Shapira prints the Tefilos Lizmaney Hashanah compilations. 5726: R’ Gedalia Fleer is in Uman on R”H with R’ Michal Dorfman and a few people from Tashkent and Moscow. Many important אנ”ש draw close from Yeshivas Ponivez through R’ Nosson Libermensch and R’ Avrohom Mordechai Felberboim. 5727: Breslover shul opens in Boro Park. Kibbutz is held there until the Tziyun opens. Ulpan Chadat pamphlet is published by Nachman Burstein. R’ Yiztchok Korman passes away. 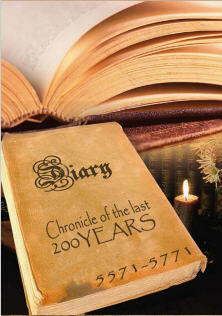 5728: Ya’alas Chein is printed by R’ Shmuel Horowitz. Pituchei Chosam is printed. R’ Arye Veinshtoc prints Likutei Moharan with square letters. Shul in Williamsburg is opened. 5729: R’ Nosson Tzvi Keonig prints an index for Likutei Moharan. 5730: R’ Aryeh Veinstock prints full first complete set of Likutei Halachos. R’ Tzvi Aryeh Rosenfeld prints all the Breslover seforim. 5731: R’ Gedalia Keonig purchases land for Breslov Tzfas. R’ Michal Dorfman makes aliya. 5732: R’ Shmuel Horovitz, R’ Nosson Barsky and R’ Dovid Romeinisher pass away. 5733: A group with R’ Eliezer Berland gets to Uman mid-year. R’ Nosson Shternhartz and R’ Benzion Apter pass away. Talumud Torah Temima is established in Jerusalem. 5734: a group of אנ”ש in Kishinev for R”H. R’ Yisroel Nachman Anshin and Sar Shalom Marzel get to Uman. 5735: Inauguration of Pe’er Hanachal. 5736: Herschel Vasilksky and a group get to Uman on evev R”H and R”H in Kiev. 5737: a group gets to Uman on evev R”H and R”H in Kiev again. Heichal Baruch shul in Tzfas is inaugurated. 5738: A minyan with R’ Eliezer Shlomo Shick make it to Uman on erev R”H but are driven back to Kiev. A group arrives in Uman with R’ Berland and are arrested by police. R’ Nachman Shosek passes away (remained silent for 40 years!). Mabuey Hanachal is published. 5739: A large group group makes it to the Tzyun on erev R”H but are arrested and spend R”H in jail. R’ Rosenfeld passes away. 5740: R’ Hirsch Lipel and R’ Gedalia Keonig pass away. 5741: 21 people in Kiev for R”H – 9 of which are in Uman with another Jew, Rabinovitch, of Uman to make up a minyan. 5742: Toras Nosson is published. 5743: Kiryas Breslov shul in Tzfas opens. R’ Elchonon Spector passes away. 5744: R’ Elye Chaim Rozin passes away. 5745: R’ Yacov Berzesky passes away. 5746: Breslover shul opens in Sanhedria Murcheves. 5747: R’ Y.M. Gabai and A. Dimermas make it Uman for R”H. A group makes it mid-year with R’ Mordechai Yagelnik. 5748: 20 people make it Uman for Rosh Hashanah. R’ Yaakov Meir Schechter makes it to Uman on Adar. 5749: 200 people make it to Uman for R”H with R’ Shmuel Shapira, R’ Shmuel Chechik, R’ Mordechai Elazar, R’ Michal Dorfman and R’ Moshe Burstein. R’ Levy Yitzchok, R’ Shmuel Shapira and R’ Binyomin Ze’ev Cheshin pass away. 5750: Gates of the Tziun are open. 1,000 people come. Davening in the Zavod. 5751: a low tombstone in placed on the Tziun. 2,000 people in Uman. Davening in the Migometer. 5752: A tall stone in placed on the Tziyun. 2500 people daven at the migometer. R’ Michal Dorfman builds the outside Ohel on the Tizyun. 5753: 3000 people daven at the Institute. Tiferes Hanachal shul is established in Bet Shemesh. A shul is established in Beitar Ilit. 5754: 3500 people daven in the Kloiz in Uman. R’ Mordechai Eliezer Rubinstein passes away. 5755: 4200 people in Uman. 5756: 4700 people in Uman. 5757: 5200 people in Uman. R’ Yitzchok Gelbach passes away. 5758: The Tziyun site is purchased and the place is built. New Kloiz is built with 3000 seats. R’ Nosson Tzvi Keonig passes away on Cheshvan. Shul opens in Manchester. 5759: R’ Shmuel Chechik passes away. Nachlas Chein shul is established in Bet Shemesh. 5760 (2000): 10000 people in Uman. Breslev is established in Brachfeld/Modien Ilit. Or Avrohom shul is opened. 5761: Yeshivas Breslev is established in Tzfas. 5762: Breslover shul in Lakewood, N.J.
5763: 15000 people in Uman. Mekor Hanachal shul in Beitar is opened. 5764: A copy of the original Kloiz in Uman is built in Modein Ilit. Pocket-size Likutei Moharan is printed. 5765: Thousands of free tickets to Uman are given away which create a tremendous interest to come to Uman. Kloiz Anshei Moharan opens in Jerusalem. 5766: 21000 people in Uman. R’ Michal Dorfman passes away on 5 Av. 5767: 22000 people in Uman. Talmud Torah Breslev established in Bet Shemesh. Kollel Chatzos restarts in Mea Shorim. 5768: 23000 people in Uman. New Parperaos Lechochma is published. 5769: 24000 people in Uman. 2 weekly pamphlets “Otzros” and “Aleh Litrufa” are published in Hebrew and the ”Gates of Emunah” pamphlet in English. 5770: 25000 people in Uman. Establishment of great Yeshiva/Masivta d’Chasidei Breslove in Jerusalem. 5771: 200 years from the Rebbe’s passing and his voice still resounds: “You have nothing to worry about since I go before you”, “There is no such reality as despair” and “My fire shall burn until the arrival of Moshiach”.